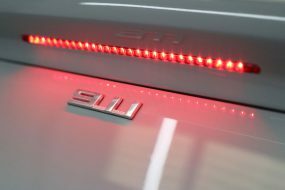 Audi has built its reputation on build quality, practicality, style and thrills. 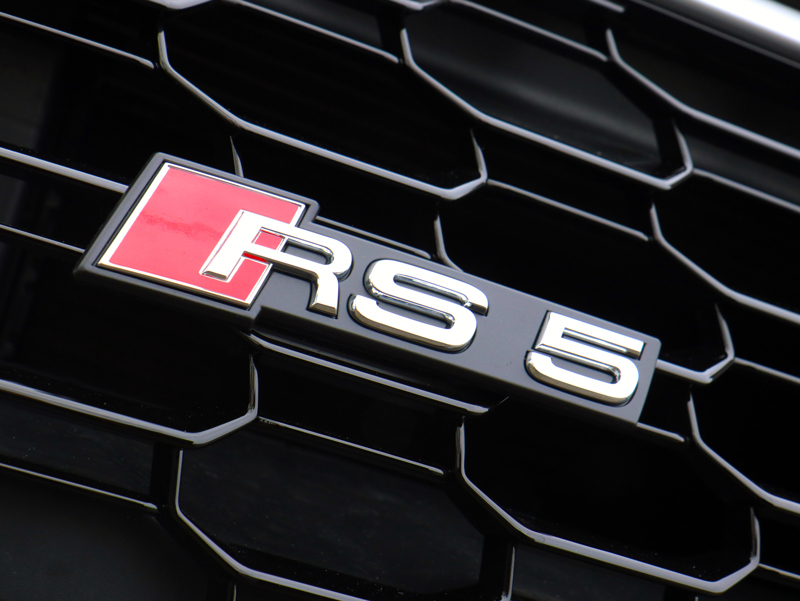 The new RS 5 is described as ‘Sharper, Wider, Tauter’, heralding what Audi calls the birth of ‘a new era in RS design’. It certainly looks the part, with its aggressive stance, and with the rear air outlets and wheel arches evoking memories of the original Audi 90 Quattro IMSA GTO. The new RS 5 is certainly elegant and it balances the aesthetics perfectly with everyday practicality. 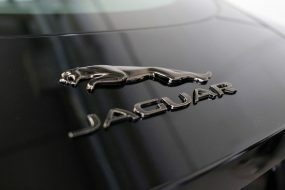 As part of the practical aspect, under the bonnet, the new design incorporates a new, lighter 2.9L bi-turbo V6 engine, the better to comply with emissions standards. 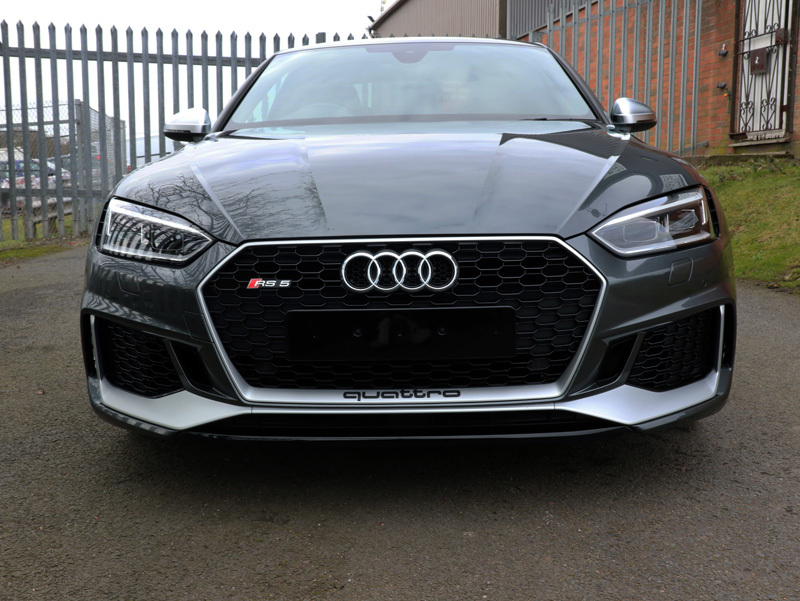 Still producing 444bhp and a maximum 442 lb-ft. torque, the new RS 5 completes the 0-62mph dash is a remarkable 3.9 seconds. Nose heavy 4-wheel drive cars can be more difficult to turn in, but the new RS 5 incarnation has completely addressed this issue. The front end now digs in whilst the back end carries the car neatly around the twistiest of roads. It’s fair to say the new RS5 is fun, it’s powerful and it’s elegantly understated. The interior benefits from some nice touches too, with RS sports seats in Fine Nappa leather with distinctive diamond stitching and interior inlays in matt-brushed aluminium as opposed to the more regularly seen gloss piano black finish. 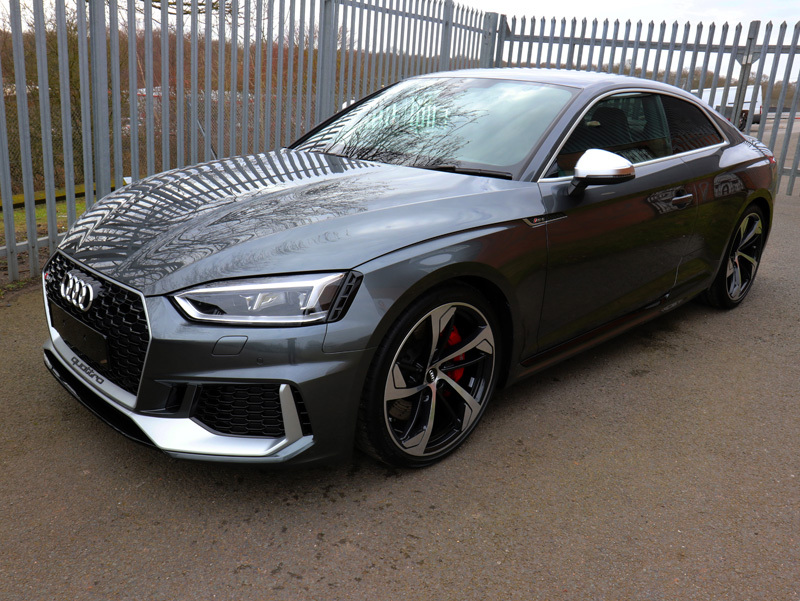 On collection from the dealership, the owner delivered this 2018 RS 5 directly to UF Studio, Brands Hatch, for a complete New Car Protection Package including Ceramic Sealant for the paint, Alloy Wheel Protection, Clear Vision Glass Treatment and Leather Protection. 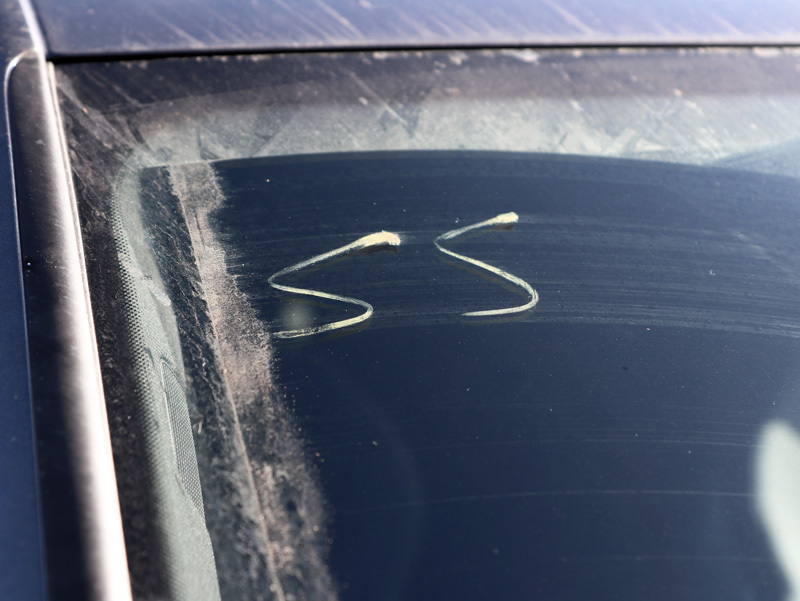 When it arrived, dealership markings were still clearly visible. The bodywork was clearly in need of cleaning and decontamination, with general road debris and environmental fallout covering the car. 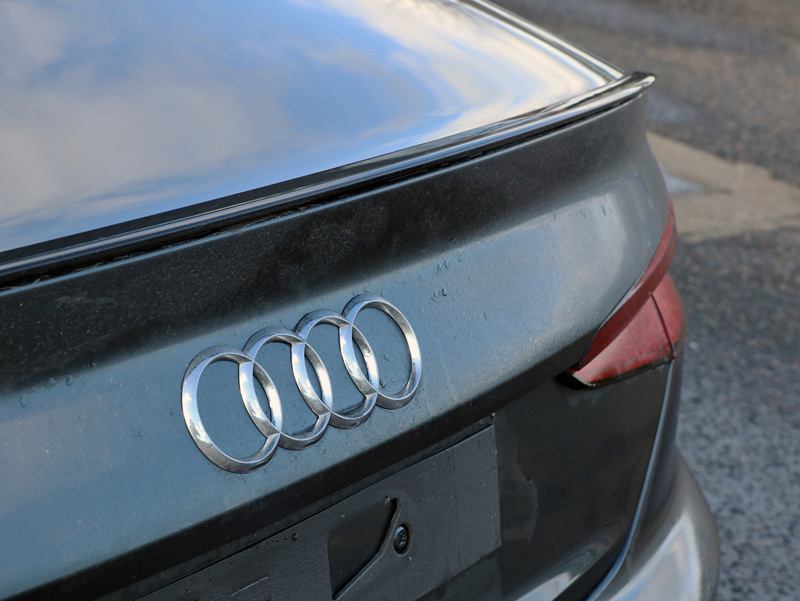 First, the registration plates were removed to allow dirt trapped behind them to be completely cleaned. Then, the work commenced. A trolley jack was used to raise each corner of the car, in turn, to allow for the wheel arches to be thoroughly cleaned. This was achieved using Bilt-Hamber Surfex HD applied through a Kwazar Orion Super Pro+ Pump-Up Sprayer with a long fibreglass wand capable of reach up into the crevice of the arch. After being allowed to dwell for a period of time, the solution was rinsed away. 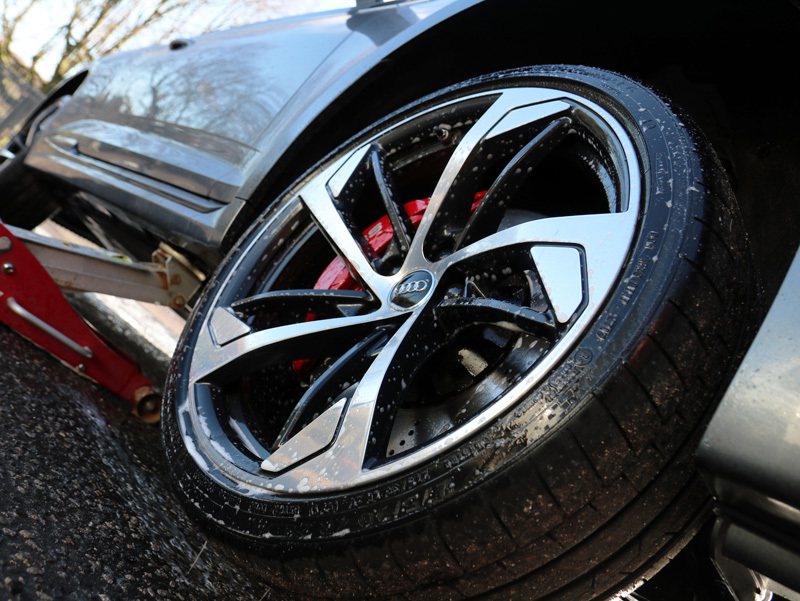 The wheels were then washed using a UF Wheel Bucket with Grit Guard and Wheel Woolies, the long handles reaching through the alloy wheel spokes to clean the whole of the wheel, front to back. The wash solution was jet washed away. Bilt-Hamber Korrosol was applied to the wheels to eliminate brake dust particles. Bilt-Hamber Auto Foam was then applied using a foam lance attached to a Kranzle K-1152 TST pressure washer. The thick lather clings, even to vertical surfaces, lifting larger particles of dirt and grit away. This makes the main wash safer for the paintwork, eliminating the contamination most likely to scratch or swirl the paintwork when a wash mitt comes into contact. Korrosol’s colour change function, which occurs when the product comes into contact with ferrous contamination, can be seen more clearly against the white foam background. 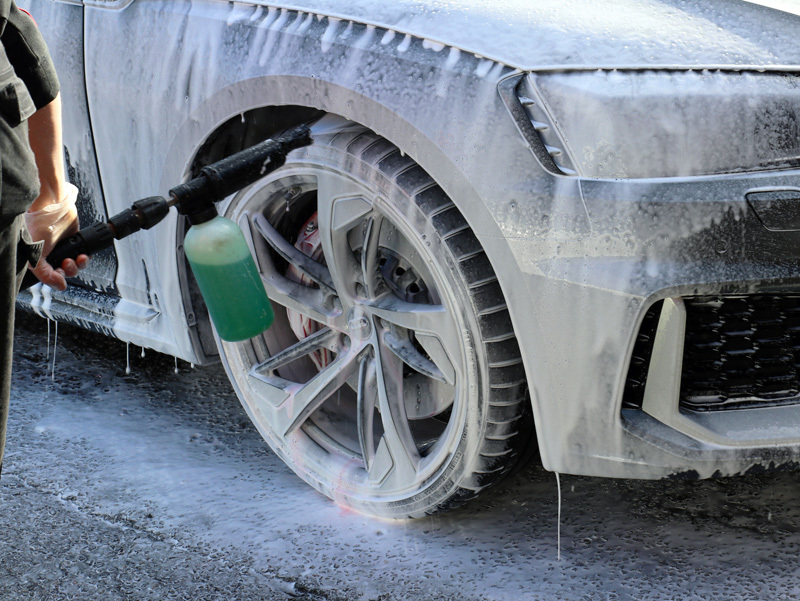 After rinsing the lather away, the RS 5 was washed using the Two Bucket Method, keeping wash water separate from rinse water. The wash mitt is loaded with the soapy solution from the Wash Bucket, a section of the car washed and the mitt rinsed in the clean water of the Rinse Bucket. The mitt is brushed against the Grit Guard in the bottom of the bucket, releasing dirt particles into the water. The mitt is wrung out and then dunked into the Wash Bucket and reloaded with cleaning solution. 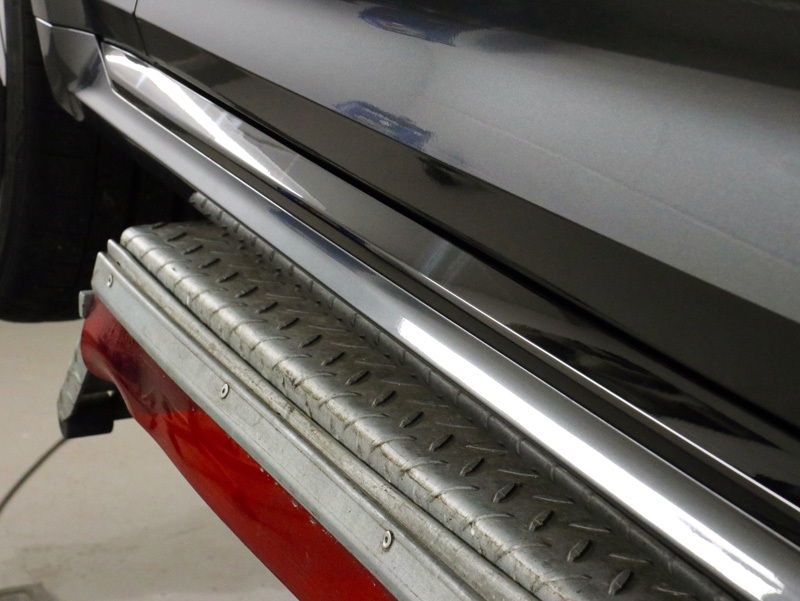 This helps prevent dirt already removed from being reintroduced to the panels, thereby making the wash both safer for the clear coat and the whole process more efficient. After rinsing, an Aqua Gleam De-ionising Water Filter was attached in-line with a hose to deliver a final, pure water rinse. 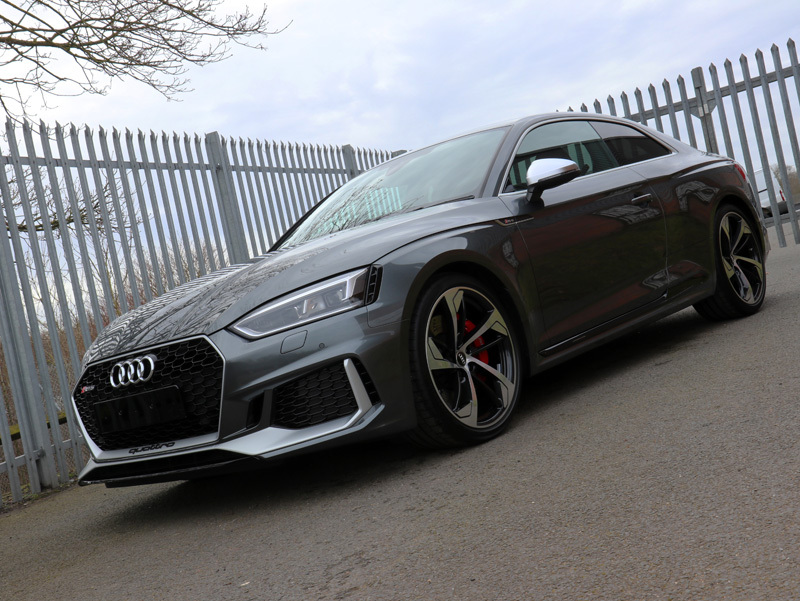 The RS 5 was brought into the studio where it was raised on a hydraulic ramp and dried using a BigBoi BlowR Pro car dryer. 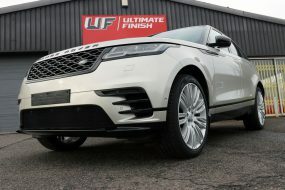 This uses two powerful motors to blast warmed, filtered air across the bodywork, chasing water off panels and out from behind badges, grilles, around trim and headlight recesses and from door mirror casings. 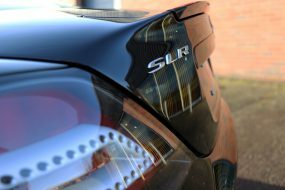 Using SCANGRIP detailing lights, the paintwork was inspected for blemishes and details noted on the Vehicle Appraisal Sheet. In this instance, it was noted that there appeared to be water trapped beneath the clear coat on one panel. Rather than return the vehicle to the dealership which would have been time consuming for the owner and would have required the preparation work be started from scratch, it was agreed UF Studio would remedy the issue. This was achieved with lengthy yet calculated use of a heat gun, allowing the moisture to evaporate through the clear coat. Rainwater had also caused a permanent stain on a section of the piano black sill. 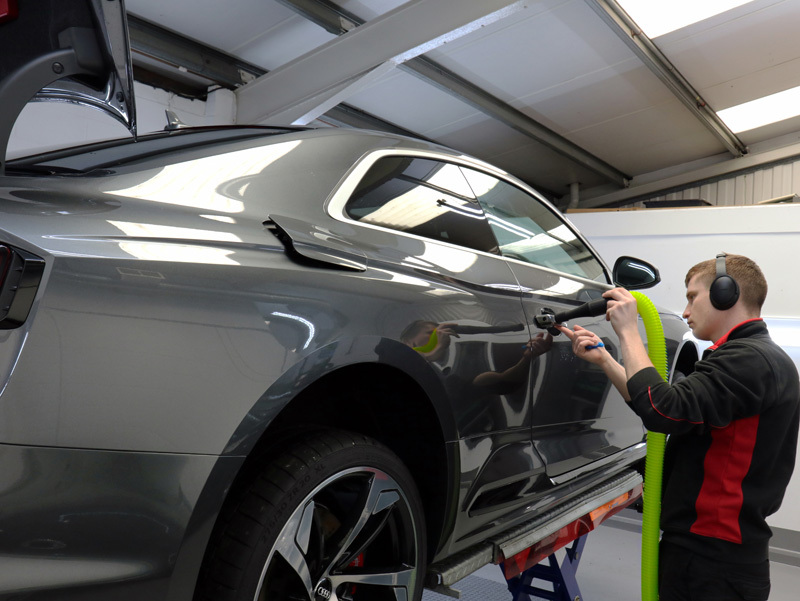 The rest of the bodywork was in good condition, as is expected from scratch-resistant Audi paintwork. 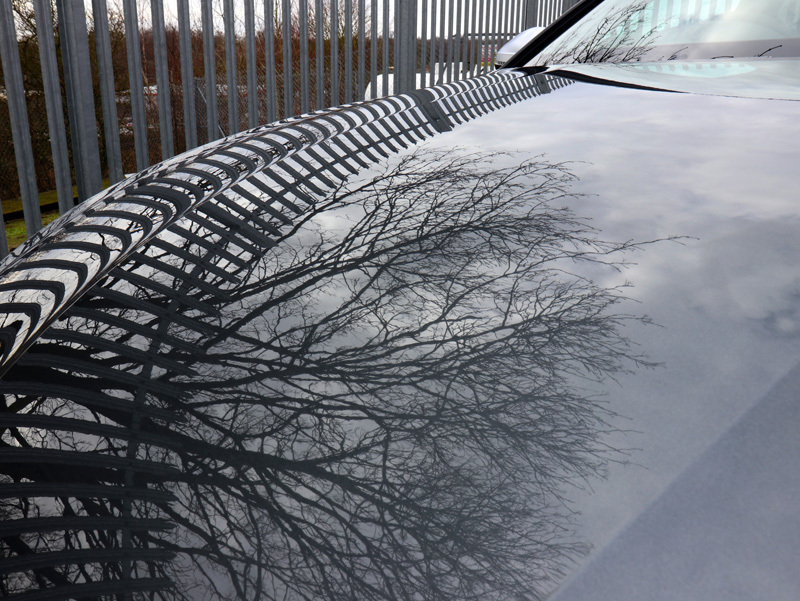 Therefore, the car was given a light polish by hand using Polish Angel Esclate lotion to enhance the gloss. The staining on the sill was removed using a RUPES BigFoot LHR 75E Mini dual action polisher, with a soft, Kamikaze Collection Banzai Dynamics Finishing Pad and Menzerna Super Finish 3500 polish. 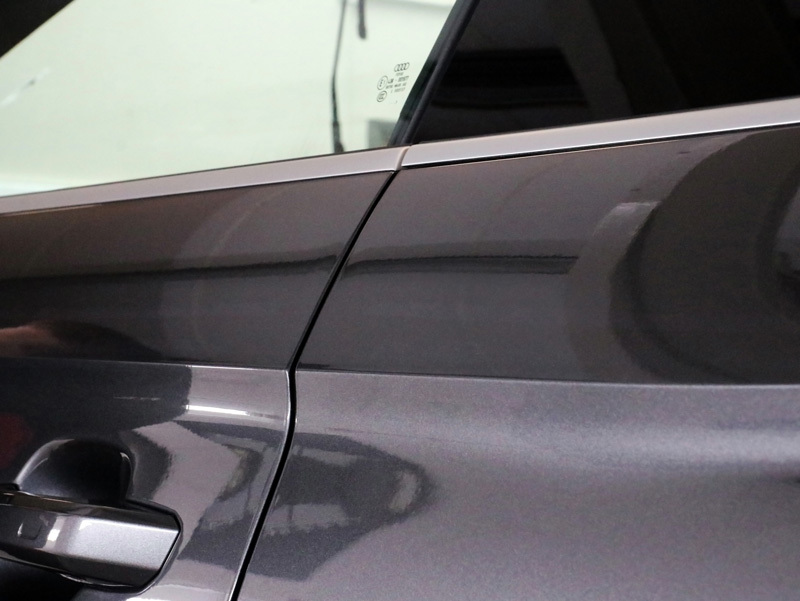 The bodywork and wheels were treated with Gtechniq Panel Wipe to remove polish and silicon residues, preparing the surfaces for the final sealant. As the owner had selected Gtechniq’s flagship coating, Crystal Serum Ultra, or CS Ultra. This is applied as a single layer yet cures as two distinct layers: the lower layer cures to around a hardness of around 7H (on the pencil scale) providing flexibility. The upper layer cures to around 10H, providing resistance to swirls. The innovative element to CS Ultra is the formulation, which uses nanoparticles of two different sizes, allowing the smaller particles to settle between the spaces left by the larger particles, the way sand grains fill the gaps left between pebbles. The result is a securely interwoven, bonded coating that provides exceptional resistance to wash-induced swirls, staining, is virtually impervious to extremes of pH and repels waterborne contamination. 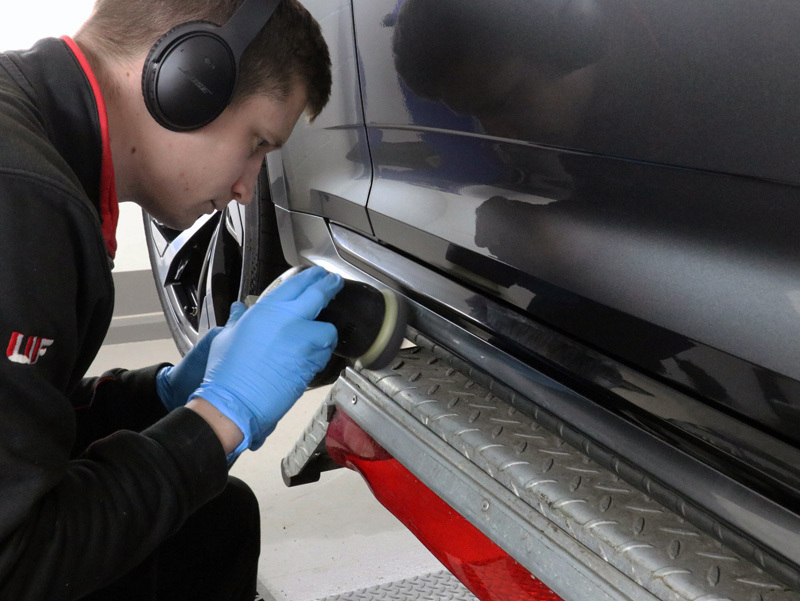 CS Ultra must be applied in tightly controlled and monitored environmental conditions and therefore is available only as a service through Gtechniq-approved detailers. Once installed, CS Ultra carries a performance guarantee of ten years, backed by the manufacturer. 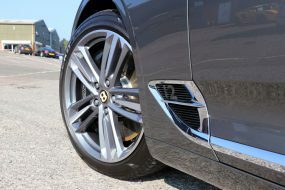 The wheels were protected using Gtechniq C5 Alloy Wheel Armour, a nanotechnology-based coating that provides oil and water repelling properties, inhibiting brake dust build up. Treated surfaces are easier to maintain and, as C5 is resistant to the high temperatures wheels and calipers are subjected to, the coating will not degrade. 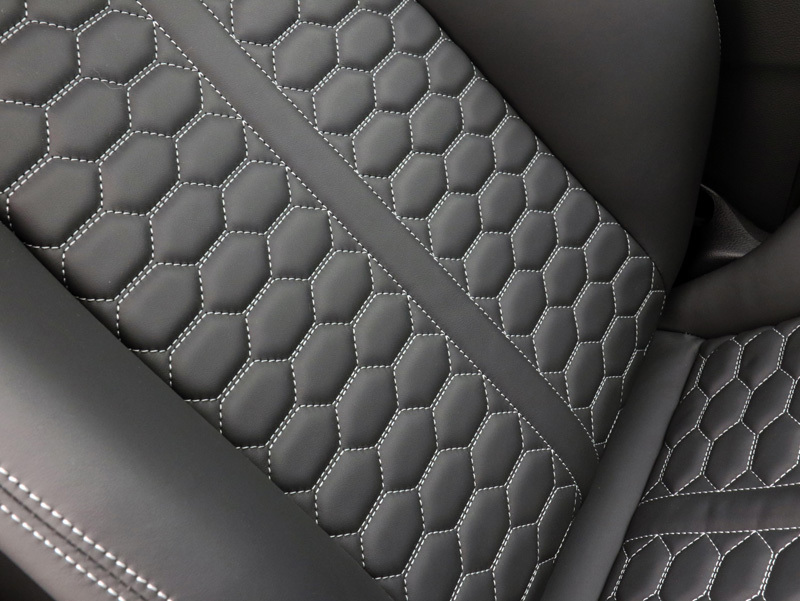 Leather interiors require regular maintenance to ensure they remain in good condition. The leather seats were first cleaned with Colourlock Mild Leather Cleaner before being protected with Leather Shield. This spray-on coating repels water, helping prevent staining, as well as repelling dust, providing abrasion resistance. 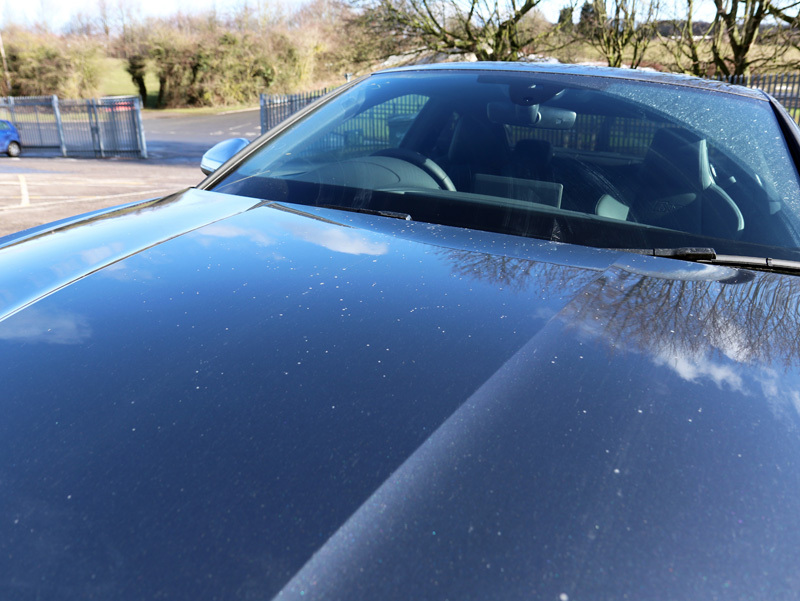 Black leather is particularly susceptible to the damaging effect of UV and can become dry, brittle and the pigment faded if it’s not properly protected. Leather Shield helps to combat UV rays, helping to keep leather supple and looking ‘as new’ for longer. The glass was treated with Gtechniq G1 ClearVision Smart Glass, creating a hydrophobic barrier to repel rainwater. 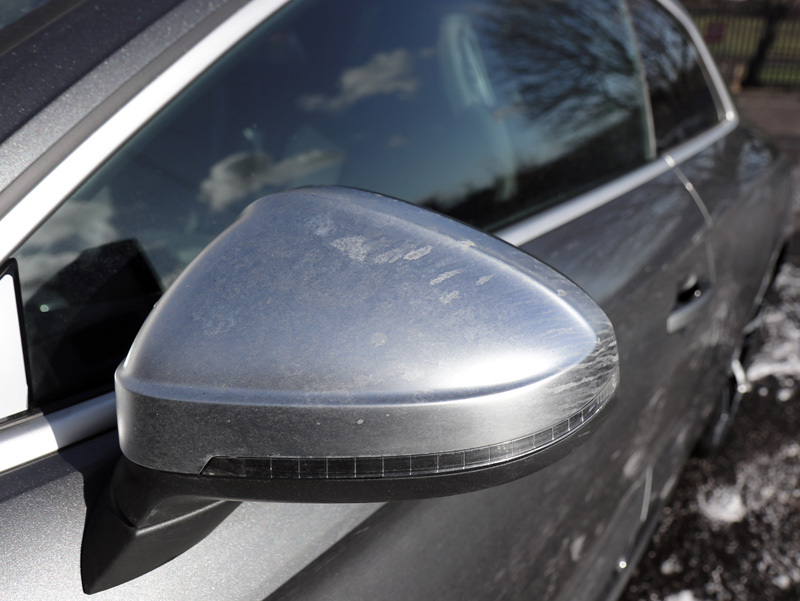 This makes driving easier and less tiring during inclement weather conditions and will also help prevent snow and ice from bonding to the treated surface. 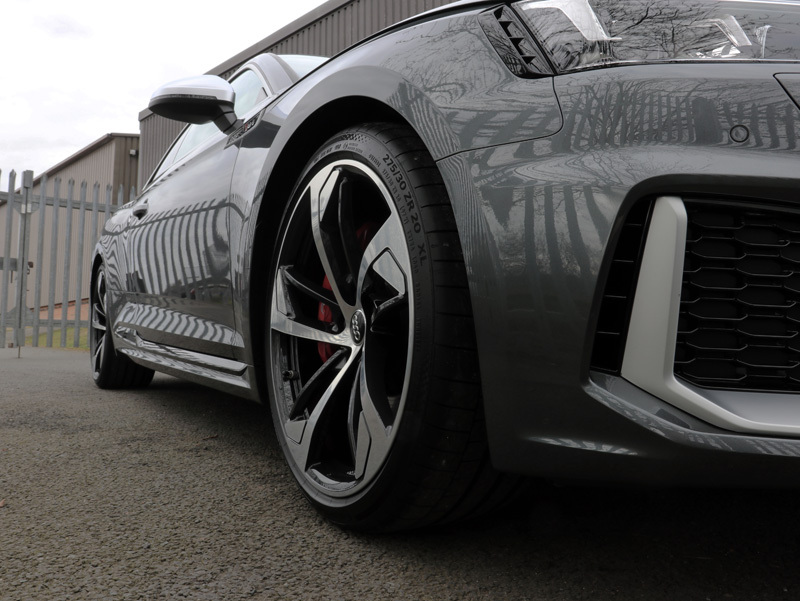 After applying Gtechniq T2 Tyre Dressing to provide a satin finish, perfectly complementing the protected alloy wheels, the RS 5 Quattro Coupe was ready for collection. The elegant and understated appearance now very much ready to turn heads!